1. Fifteen surprising things productive people do differently via Forbes. 2. 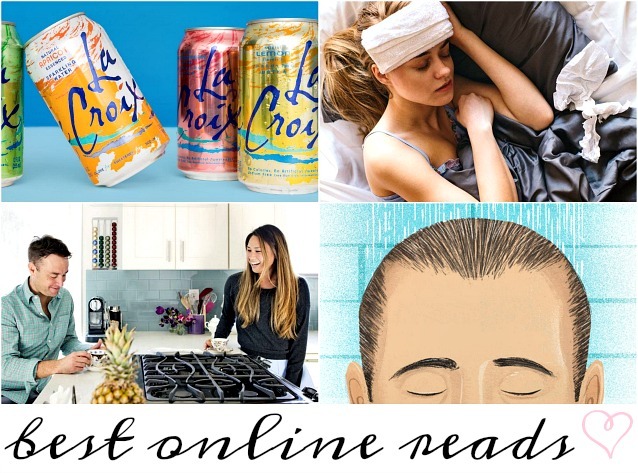 All 20 La Croix flavors ranked via Thrillist. 3. How to be mindful when taking a shower via The New York Times. 4. The cutest strappy sandal for summer via Macy's. 5. Four women describe what life is like at correctional facility Rikers Island via The Cut. 6. Twenty-five fast-paced thrillers to read this summer via Business Insider. 7. How to be a better listener when catching up with a friend via kitchn. 8. The fastest way to cure a cold via Well and Good. 9. Eleven things to never wear to a wedding via Redbook. 10. Iced coffee from Starbucks is about to get even stronger (!) via Cosmopolitan.